Low oil prices and spending cuts are cutting into China’s oil production, a little known source of output declines that are helping to balance the market. New data shows that China’s oil production fell 5.6 percent in April compared to the same month a year earlier, falling to just 4.04 million barrels per day. Between January and April, production also fell by 2.7 percent. The declines came because China’s large state-owned oil companies are struggling with low oil prices, and just like its international competitors, they have had to make painful spending cuts. Lower levels of spending are starting to translate into a drop off in production as the necessary maintenance to keep field output elevated is reduced. Much of China’s oil production comes from large oilfields that are mature and facing declining output. More investment helps to slow decline, but significant capex cuts are allowing production to slip. Investment in China’s oil sector fell from $54.4 billion in 2014 to just $39.4 billion last year, and likely will fall to $33.5 billion in 2016. More evidence that China’s oil industry is faltering comes from import data – Clipper Data says that Chinese crude oil imports may have hit a record high in April. Related: Does Tesla Care About Its Stock Price? OPEC, in its latest Oil Market Report, slashed its forecast for China’s oil production this year, lowering it by 90,000 barrels per day to an average of 4.23 mb/d for 2016. The downward revision came because China’s state-owned oil companies have gotten off to a poor start in the first quarter of this year – output was down 100,000 barrels per day in the first quarter compared to the same period in 2015. PetroChina, a subsidiary of CNPC and the country’s largest producer, already saw its production fall by 0.2 percent in April. 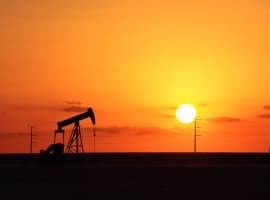 Overall, the IEA sees production falling by 4.1 percent this year as “it shuts down aging and high-cost fields.” That would translate into at least 200,000 barrels per day of lost output, potentially more. If output does indeed decline for the year, it will mark the first time that such a thing has occurred for the company since 1999. The global glut of roughly 1.5 mb/d has been erased since April. Canadian wildfires are the main culprit, knocking more than 1 mb/d offline. Outages in Nigeria have also disrupted roughly 400,000 to 500,000 barrels per day. China’s production declines are also contributing to a shrinking supply surplus. But while China may be helping on the supply side of things, oil demand is not holding up as well as it has in years past. In March, for example, China’s oil demand grew only by 2 percent. That compares unfavorably to prior years, when oil consumption expanded at annual rates of 5, 6 or 7 percent. Also there have been some macroeconomic warnings coming out of Beijing. China actually has posted slight declines in the consumption of fuel oil and diesel oil in recent months, according to OPEC’s latest report. That is because China’s industrial activity is showing some weakness, in part related to the country’s shift towards a more service-based economy, as well as pollution control measures. 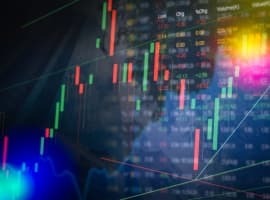 Just this past weekend, Beijing reported fresh data that disappointed consensus estimates, revealing industrial and retail activity are humming along at slower pace than many market analysts had expected. taking over from the China as the main growth market for oil,” the IEA wrote in mid-May. 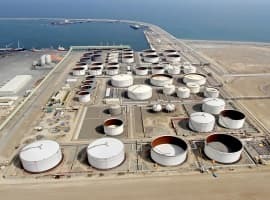 An objective analysis of the global oil market is impossible because of the fact OPEC, China, almost all of the foreigner oil producers are a lying bunch of hypocritic bastards. Their "supposed" production is impossible to audit or verify so the rest of world simply has to "accept" whatever crap they put out as the "truth". Once we, we as in the objective writers for publication such as Oil Price, come to this realization and not until we come to such realization, will we call their collective "bluff". The foreign producers are playing and consider the rest of the world producers fools. We need to quit playing into their hands.